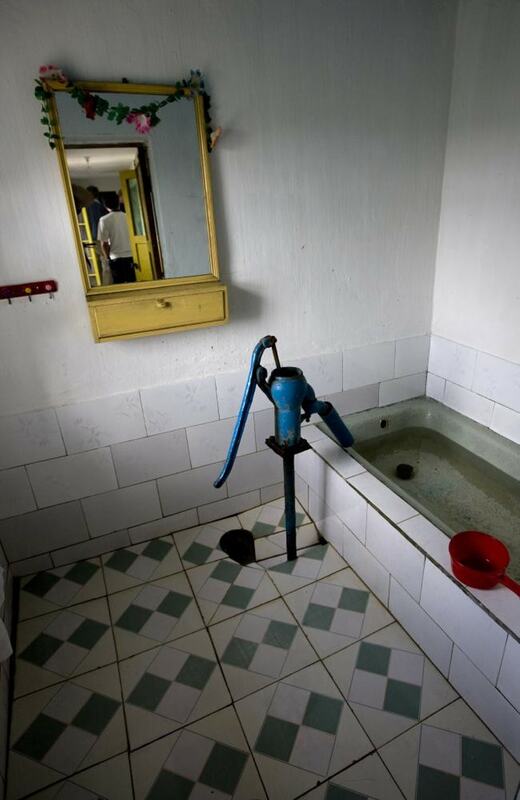 This picture depicting a common house’s bathroom show exactly how North Korea operates. The government constantly tries to push an imposing, pretty and ‘perfect’ view of its country, but then when pictures of the Korean’s everyday life and the environment they live in start showing up you start noticing the cracks. 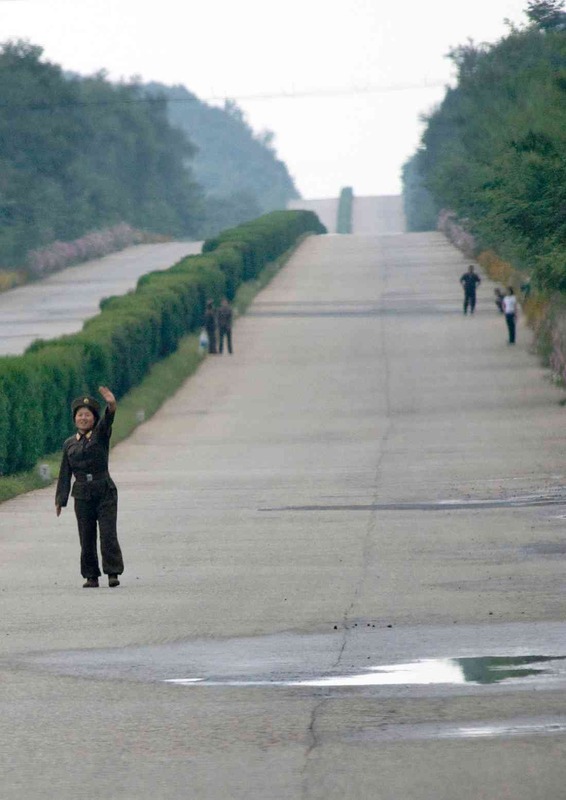 The government carefully selects where does the common North Korean live, and most of them live under these conditions, sans a select few and the elite. Just a small detail like a cistern being used in a bathroom’s shower shows a clear perspective on the quality of life of these people. As you might imagine, cars and the like are reserved only to the ultra-elite, so about 1% of the whole population. Most people can’t even afford common things like food, so of course, they wouldn’t be able to buy a car (not that the government would allow them to buy one in the first place, anyway, as that is of course also regulated). As you can see in the picture above, cars are so few in quantity, that even military soldiers have to resort to asking for lifts on a regular basis. Showing something as ‘low’ as a soldier hitchhiking to the outside world is unacceptable by the government, clearly, so this picture had to be carefully ‘smuggled out’.